Today, you don’t have to shell out a large amount of money to dive into video editing. In fact, with the recording equipment and a laptop available, you can perform the post-production magic for free. If you’ve already searched for video editing software, you’ve probably noticed that there are surprisingly many tools available at zero cost – and that’s certainly good news. Some of them, however, have significant limitations such as watermarks on the exported videos, narrow format choice, or built-in ads. 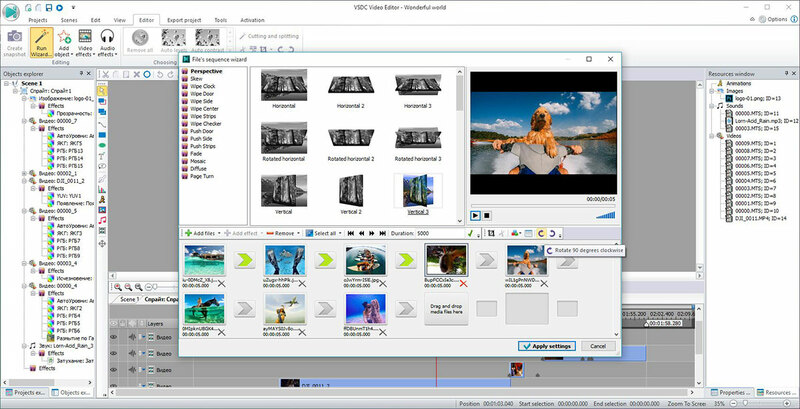 In this article, we’ll review one of the most popular free video editing programs, named VSDC Video Editor. It provides a professional-level feature-set for free without watermarks or any other limitations and has low system requirements; so even outdated PC owners may use it. The VSDC premium version brings an extended set of tools for experienced users. But even with the free option, you’ll be able to get almost everything expensive video editors typically offer. 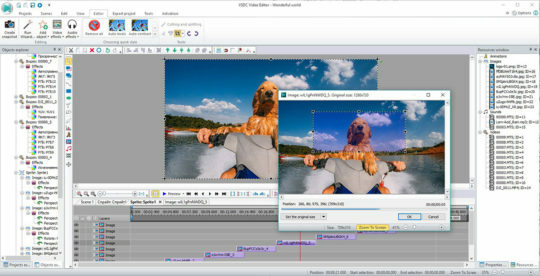 VSDC is a non-linear (NLE) video editing tool. That means you aren’t forced to place objects in a direct (linear) sequence on the timeline as in basic video editors. With the NLE technology applied, you can change the size of the objects. You can also use any sequences and combinations while creating your movies. For example, you can place one video over another and create a “picture-in-picture” effect, or place videos side-by-side. It is also possible to change different parameters – such as position and shape of objects – over time. Overall, VSDC looks and feels just like professional software. But you should certainly get accustomed to its interface before jumping from basic editing to advanced features. For an easier start, we recommend watching the video tutorials published on the company channel. 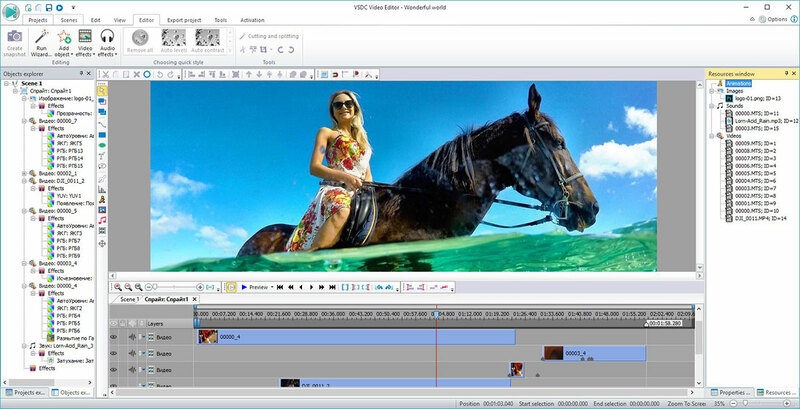 Once you move over the learning curve and gain some experience, video editing with VSDC Video Editor will be fun! The free version of VSDC provides you with everything you might need to edit your first clip. There are tools for cutting, splitting, and merging video fragment. You can also crop the borders, zoom, and rotate a video at any angle. 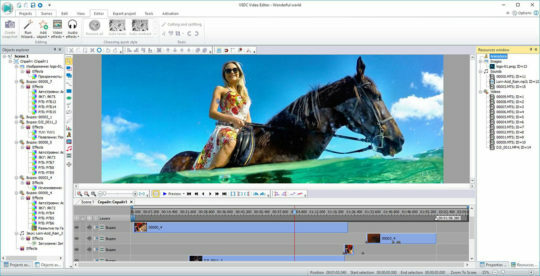 Most visual editing features are available in the Video Effects drop-down menu. We’ll take a closer look at them in the next paragraphs. As mentioned previously, VSDC also has a paid PRO version available for $19,99 per year. You will get an occasional prompt to upgrade at the export stage. But you don’t have to do it if you’re happy with the free version. The software itself works smoothly. The key advantage of the PRO version is the ability to export videos faster using hardware acceleration. Recommended for you: 5 Excellent Android Video Editing Apps You Should Consider. VSDC allows you to create videos from scratch, edit your clips, adjust audio, and work with text objects – such as titles and subtitles. Along with the basic tasks, you can apply color correction and color gradient to your videos to make them look more cinematic. There is a large choice of pre-configured quick styles and filters available in the toolbar at the top of the interface. You’ll find a set of 7 transitions in the “Video Effects” menu. Use them for merging files and creating a smooth change of scenes. Besides, VSDC is capable of transformation and transparency effects. Thus, you can remove the green background from a video (Using Chroma Key), reflect or flip the video, resample it, and change the perspective. VSDC has a built-in video converter, and because of that, it easily opens all the video formats and codecs including videos in high resolution and 4K. There are no format restrictions in the free version of the tool. And once you’ve finished with the project, you’re free to choose among various export profiles based on your needs. For instance, you can manually set up all the properties, such as format, codec, quality, width and length, framerate, resolution, etc. Alternatively, you can make use of the pre-configured export profiles – for publishing video on YouTube and other social media platforms, or for watching it on a PC in high quality. 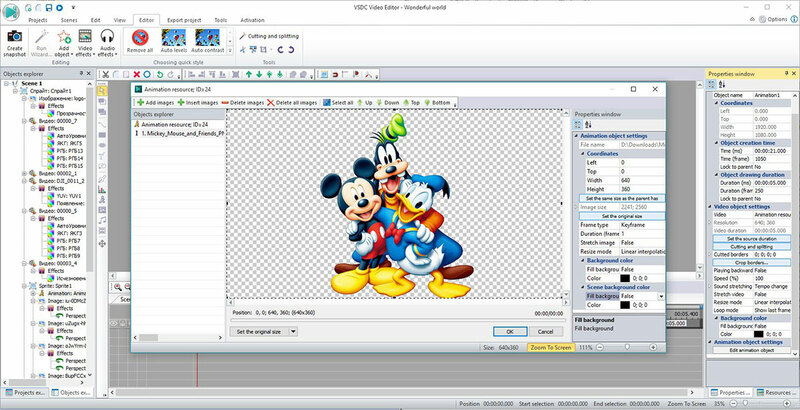 Using VSDC, you can export projects in high quality with a minimum file size. To do this, choose the H.265/HEVC codec when configuring the export profile. You may also like: The Team Management Software by Monday.com – Feature Review. 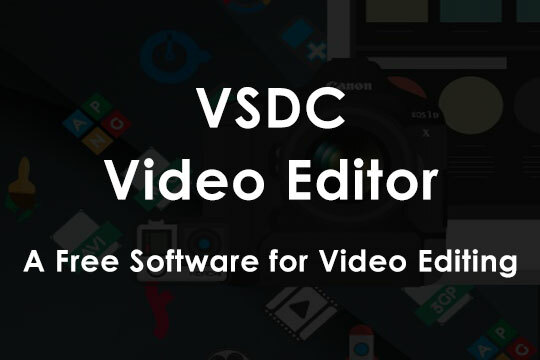 While the free version of VSDC Video Editor should be sufficient for most beginners and intermediate-level users, the Pro version boasts few features that may seem useful for those willing to go advanced. First, it’s hardware acceleration that significantly increases the speed of video export. This feature might be especially useful for those who work with a large volume of high-quality files. Second, it’s video masking – the tool allowing you to hide an unwanted object on a video by blurring it. Finally, there is an advanced voice over tool available in VSDC PRO. It might be quite beneficial for those who frequently create audio comments and want to perform this task more efficiently. Overall, VSDC provides a powerful video editing solution even in its free version, so if you’re looking for a zero-cost program to use on a PC, chances are, this is exactly what you need.